CLARK COUNTY — With a week to go until the general election, voter turnout looks to be strong. As of Tuesday afternoon Clark County auditor Greg Kimsey says they’ve received over 27 percent of ballots back. That indicates overall voter turnout for the midterm election could be higher than usual. Turnout in Clark County for the 2014 midterm election was 51 percent, so this year is shaping up to be much higher than usual, though Kimsey says this wouldn’t be a record for a midterm. By comparison, turnout for the 2016 presidential election was over 73 percent in Clark County. This year postage for mail-in ballots is prepaid, meaning you don’t need to provide a stamp. But there was some confusion in the general election ballot. Kimsey says they were just using up the older privacy envelopes, which hadn’t been updated. Speaking of prepaid postage, it’s something that King County approved last year. In the interest of keeping things even across the state, the governor and Washington secretary of state decided to fund it in every other county this year. It will be up to the legislature whether to fund prepaid postage for future elections. Kimsey says their office has put in a request for $100,000 in funding from the county to continue offering prepaid postage, but are hopeful that money won’t be needed. Kimsey says they haven’t seen any evidence yet that prepaid postage actually leads to higher voter turnout. Numbers for the August primary this year were similar to the primary two years ago when voters had to pay for a stamp to mail in their ballot. So why advocate for the cost to the state of paying for postage? Kimsey says it’s largely an issue of fairness. “A real important principle of election is that all voters in a jurisdiction are treated the same,” he says. If King County is going to continue paying postage for its voters, then every voter in the state should be afforded the same luxury. If the state does decide to continue offering prepaid postage ballots, it’s expected to cost between $1.2-$1.5 million per year. 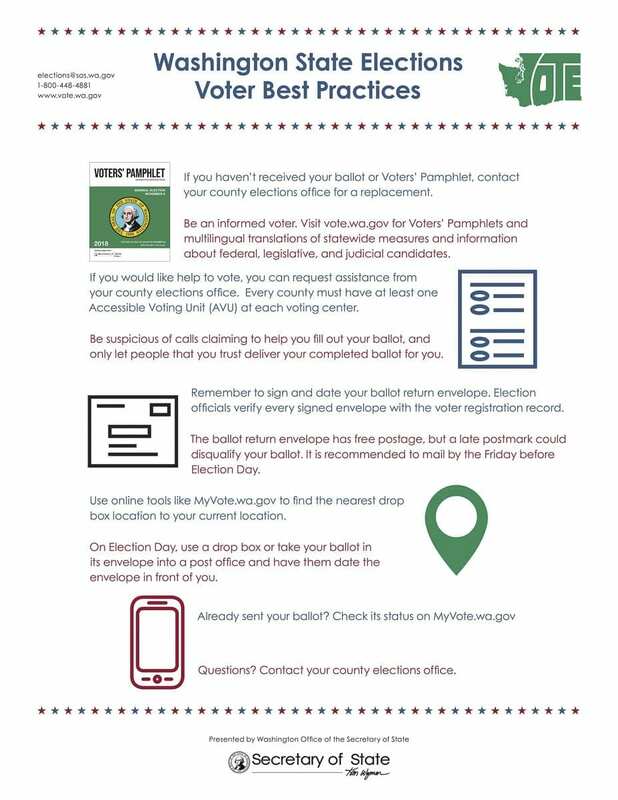 If you haven’t received a ballot yet, or yours was lost or damaged, you should visit the Clark County elections office at 1408 Franklin Street, Vancouver 98661, or call them at 564-397-2345. You can also e-mail elections@clark.wa.gov. 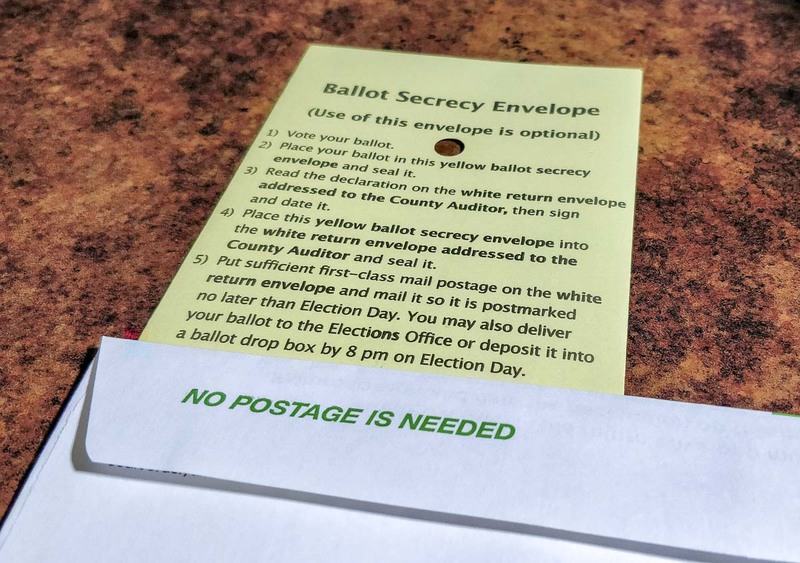 While technically a ballot only needs to be postmarked by 5pm on election day, it is recommended that you put it in the mail no later than this Friday in order to make sure an error doesn’t prevent your vote from being counted. 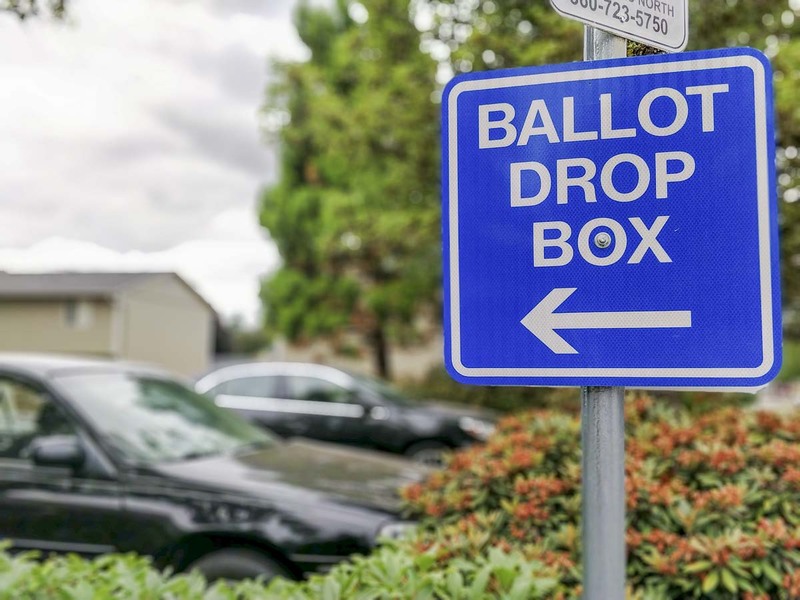 You can find a list of ballot drop-off locations here, if you’re unable to mail your ballot in time.